Remember good old gym class? If you are anything close to the naturally athletic person I am (please inject sarcasm here), you remember it well. You'd line up against the wall, and two of your classmates would start picking who they wanted for their team, whittling down the class until only two people remained. Hint: I was often one of the two. Then the lucky captain would take the best of those two, leaving a situation that typically resulted in the last captain looking at the last pick and saying, "Guess I'll take you." And while in all honesty, I chuckle at those memories now, they weren't such fun then. And even if it wasn't gym class, I bet many within the sound of my voice can recall similar moments that shaped within them a feeling of being unworthy. Unwanted. But I'm here to tell you that isn't true! You might wonder what sheep have to do with being the last one picked in gym class, but look again at that verse because Jesus is flipping everything we know on its head. He not only pursues the last one standing, but he rejoices over them! Friend, he's never been "stuck" with you. Your worth is of such great value to him that he goes after you because he desires you. Our value on earth might be missed. But God cannot miss it because he is the one who created you. We need to stop looking at painful moments of the past that have coated our memories with lies about who we are, and start looking to the One who set our value and speaks truth over us. The One who chases after us because his love for us is so great, there's no place he'd rather we be than safe in his arms. You aren't the last one picked. 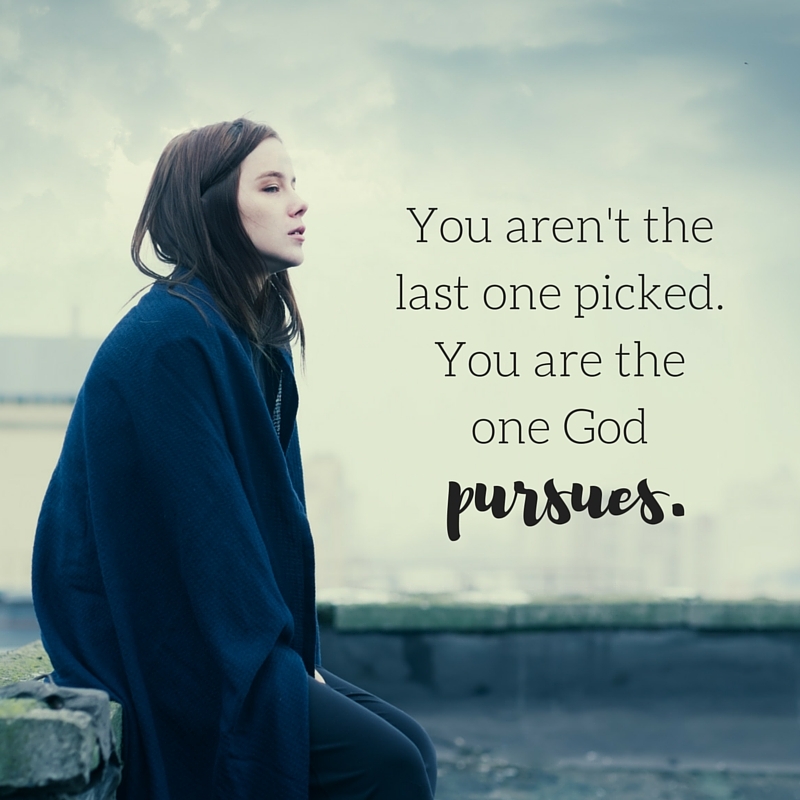 You are the one he pursues. What a beautiful post! Yes, I was one of the last two picked. Every. Time! Thanks for the reminder that God pursues us.